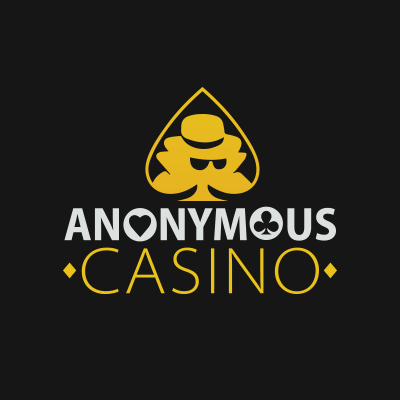 Playing casino games has never been so anonymous - What makes Anonymous Casino different from other online casinos? What makes Anonymous Casino different from other online casinos? Well, the name of Anonymous Casino is self-explanatory - complete anonymity is guaranteed! What does it mean? It means that you don’t have to specify any personal details when creating an account - you don’t have to mention your address, or credit card details, or any other info. You can even sign-up without a nickname. All you have to do is to enter your valid email and create a password. Yep, that’s it! You can become a member of this casino just in several seconds. The point is that Anonymous Casino is fully powered by Bitcoin. Yep, the withdrawal options are limited to cryptocurrencies, but at least the Anonymous Casino withdrawal time is instant. The casino is not too old (it was founded in 2014), but the website design doesn’t seem to be modern. They don’t have any stunning animations or something like that - just an old-fashioned interface with a picture of playing cards and Bitcoins for the background. The navigation around the website is even worse. The game lobby does have a provider filter and a search bar, but the games aren’t sorted by type. So, if you want to play, let’s say, Blackjack, then you will have to scroll down the game lobby until you find this game among their slots and other games. Other casino games (Keno, Scratch Cards). As we said, all these are stuffed into a single page with no opportunity to sort them by type. Anonymous Casino Welcome Bonus is another thing that makes this casino different from the others. As a new player, you will get a 150% match bonus, up to 1.5 BTC on the first deposit. You don’t have to use any Anonymous Casino bonus code in order to claim it. However, this bonus comes with the highest wagering requirements we have seen on the web - 150 times the bonus plus deposit amount. They don’t have any reload bonuses, daily promos, or Anonymous Casino free spins, so the bonuses are definitely not worth your attention. And the last thing we want to mention in our Anonymous Casino review is the support service. It is available only via email. Probably, the casino agents also decided to stay anonymous. Anonymous Casino lives up to its name - it’s a fact. However, they do have many issues. For example, the navigation is inconvenient, the support service is useless, and the Welcome Bonus is a bad joke. So, think many times if it’s worth it.